See information for the 2019 Summer Dance Camps! 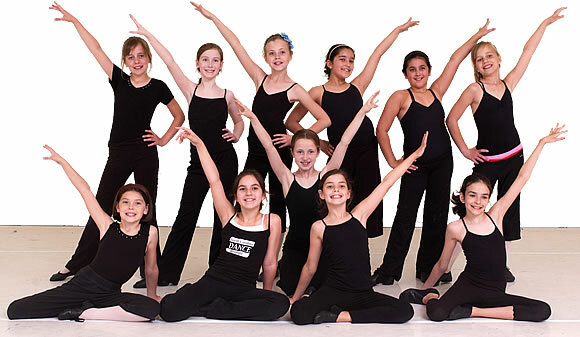 In addition to summer classes in ballet, jazz, tap, modern, and hip-hop, North Carolina Dance Institute offers a variety of summer performance workshops, intensives, and dance camps for children and teens of all levels. Camp costs are shown for each camp and the annual NCDI $25 registration fee may apply. Family and multi-camp discounts are available. Refunds can be issued up to 2 weeks prior to the start of any camp, intensive, or summer session classes. Register online to enroll, and please mail the payment upon registration. Our summer camps fill quickly – register early to secure your spot! Dance and Perform This Summer! The Summer Jazz Intensive is a workshop version of our popular Summer Showcase. This one-week intensive dance camp features high-energy jazz choreography that focuses on creating original new works for the 2019 Summer Showcase, "PS I ❤ U2". Choreography will be set to the music of Paul Simon and U2. The Summer Jazz Intensive gives young dancers insight into what it takes to quickly develop complex choreography, focus on intermediate/advance jazz techniques and work closely with Summer Showcase C0-Directors, Kirstie Spadie and Sarah Putterman. The Summer Jazz Intensive will culminate with an in-studio performance at NCDI studios held on Friday, June 22nd at 6pm. The Summer Jazz Intensives will be led by NCDI Artistic Director Kirstie Spadie, Sarah Putterman, and guest choreographers. It is a great performance opportunity for NCDI dancers, and is open to other dancers in our community. Dancers must be at an intermediate to advanced level to participate. Acceptance is subject to approval. Non-NCDI students are required to take a placement class during the spring semester. Contact Sarah at sarah@ncdanceinstitute.com for more information. Non-NCDI dancers are required to take a placement class. Choreo-Lab is a dance workshop featuring exploration of contemporary choreographic styles. NCDI faculty and guest choreographers bring together cutting edge choreography, improvisational techniques, partnering, and composition ideas to organically create new works. Students often take the Summer Ballet Intensive followed by the Contemporary Choreo-Lab to provide a full day dance camp experience with lunch at NCDI. The Beginner Contemporary Intensive is focused on the beginner to intermediate dancer for body awareness, enhancing technique and exploring cutting-edge contemporary styles. NCDI contemporary instructors focus on exposing young dancers to the many facets of contemporary dance styles, including weight sharing partnering, inversions, and contemporary dance concepts including improvisation techniques. This in-depth intensive is often paired with the Ballet Basics and Jazz Boot Camps to give dancers two weeks of dance training at NCDI this summer. Spend a week exploring jazz choreography in a fast-paced and fun dance intensive for beginner dancers. NCDI faculty focuses on strength training, enhancing flexibility, and skills moving through space. High-energy jazz-style choreography make this camp very popular. Attire: Black leotard, jazz pants, black jazz shoes. Students often take the Ballet Basics Boot Camp followed by Jazz Boot Camp to make a full-day camp opportunity with lunch at NCDI. Ballet intensives are for the beginner to the serious-minded ballet student and strive to develop the complete dancer. NCDI encourages all students who wish to be in higher placement classes for the fall semester to participate in a ballet intensive. 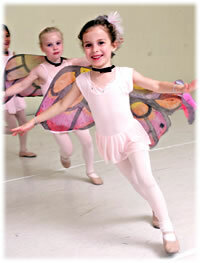 The Summer Ballet Intensive is an intensive training experience designed for aspiring young dancers. Students spend an in-depth week guided through intense technical classes and challenging classical repertoire. The aim is to give each dancer a solid technical foundation upon which to push themselves to their fullest potential in ballet. Our faculty provides a positive and thorough approach to training intermediate level dancers. Classical ballet attire is required (black leotard/pink tights), with hair worn in a bun. Please bring a healthy snack and a packed lunch if also registering for the Choreo-Lab Intensive. This is designed for students presently in Ballet 2A levels or higher. For students in Ballet 1B or lower, we recommend Ballet Basics Boot Camp instead. a placement class during spring semester. Contact Kirstie via e-mail at kirstie@ncdanceinstitute.com. The Ballet Basics Boot Camp is a fast-paced introduction of ballet fundamentals and conditioning for the body. A fun format led by Ms. Carolyn will give students boot camp exercises to practice throughout the summer. This camp is designed for the student who has an interest in ballet and wants to further their knowledge in an accelerated week of ballet fundamentals. Classical ballet attire is required (black leotard/pink tights). Bring a healthy snack. Students often take the Ballet Basics Boot Camp followed by Jazz Boot Camp to have a full-day camp opportunity with lunch at NCDI. "Degas and the Little Dancers"
This fun ballet camp for children 6 to 11 years old will cover ballet fundamentals and stagecraft exploration with an original ballet "Degas and the Little Dancers". Young dancers who love ballet and have the creative mind will enjoy this special intensive. Black leotard, pink tights and pink ballet slippers are required. Bring a healthy snack and packed lunch. Costumes will be provided by NCDI. These camps sell out quickly. Please e-mail Kirstie for placement questions. "Degas and the Little Dancers" will be presented in an exciting showcase for parents at NCDI on Friday at 11:30am. Students recommended for Pre-Pointe classes for Fall 2017 should participate in the Pre-Pointe Primer. Pointe shoes should be purchased, fitted, and sewn prior to the primer. Please e-mail Kirstie for placement questions. Broadway bound? You need training in singing, acting and dancing! Sarah Putterman leads a packed workshop of the "Triple Threat" techniques. Focus will be to learn original Broadway dance numbers from several musicals including "Hamilton", "Bring It On" and "How to Succeed", plus informational seminars on getting a talent agent, headshots, resumes, and vocal training. The Triple Threat Broadway Workshop includes learning two monologues, an audition song and upbeat choreography. Learn what it takes to make it in show business! This is one of our most popular workshops and sells out every summer. Sign Up Today! NCDI Instructor Ronnie West leads the coolest camp for your kid this summer! Learn the hot moves on the hip-hop dance scene. Ronnie is one of the hottest choreographers in the triangle and brings his unique style of movement exploration to current music. NCDI Hip-Hop camps sell out fast! Yo, don't delay - sign up today! Life's greatest adventures begin with a leap! North Carolina Dance Institute offers an imaginative and creative arts camp that explores the adventures of Félicie and her dreams of becoming a ballerina. Dancers will recreate Félicie's escape from the orphanage, her journey to the Paris Opera, and her dream to play the lead role in "The Nutcracker." Each fun-filled day will feature dancing to the songs from Leap and creating art works. We finish the week with a special mini-performance for our parents and grandparents at 11:00am. All craft materials and costumes are supplied by NCDI. The day wraps up with lunch bunch (please provide a packed lunch for your dancer). Pink leotards, skirts, tights, and leather ballet slippers are required. This is an inspiring summer camp experience for the budding young artist who loves to dance! Don’t wait - Our children's camps sell out!